Metro Car Removal Sydney More Cash For Your Cars Ask Us For PRICE ! Your Unwanted Car or scrap can get you up to $7000 on the Same day anywhere in Sydney! If you’re planning to sell your old car for some cash in Sydney, you’ve come to the right place. We at “Metro Car Removal” can offer you up to $7000 cash for cars right at your doorstep. We buy all types of vehicle such as cars, utes, vans, SUV,s, and 4wds. We are one of the biggest and busiest car removal firm in the city that always pays you the highest possible price for your car, and also does it speedily on the same day. At Metro car removals, we start by understanding our client needs. Once we understand we then work out the best time and price we can offer. Our goal is to offer stress-free & friendly car removal service to our clients in Sydney and surrounding. Metro car removal will not only help you earn some cash, but you also get a chance to upgrade to a newer vehicle. Isn’t that great? recycling of junk cars also reduces your worries as you won’t have to worry about how to get it passed in the next roadworthy test. It also improves your car value as you can successfully remove rusted vehicle lying stubbornly in your yard for years. It’s more productive for you! Do You Need A Title Or Registration For Your Car? Having a title is not a requirement but is preferred. We at Metro cash for cars also accept other proof of ownership. You can ask our team of experts on other documents we accept. They will surely help you with at the time of the quote by phone. If you are selling the car with title or registration you need to cancel the registration by submitting a notice of disposal form. The biggest reason to dump your old rusted car is that it will get you good money in return! Yes, we’re right. By selling your old car to Metro for cash, you can not only save money that you would otherwise pay as towing fee but can also earn top dollar from us. You can also free up valuable space in your home or commercial establishment. It will also make it a much better place as you will remove that eyesore permanently. You also save yourself from expensive and repetitive repairs and insurance charges. 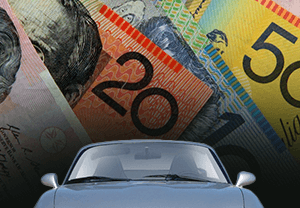 We are one of the biggest, busiest and most reliable “cash for cars“ in Sydney with years of hands-on experience in delivering the best customer service and more cash for your car. 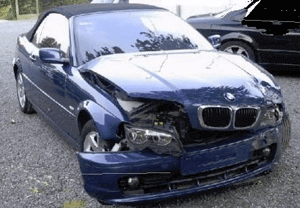 We take care of all your accident, junk, old, used, and unwanted vehicles that are not worth registering anymore. Running or dead, fade up, worst possible condition, don’t wait even for a second, give us a call or just fill up a short “Get a Quote” form and receive a quick quote for your unwanted utes, cars, vans, and four-wheel drives. Ours is a friendly and quick service across Sydney with top dollars up to $7000 paid in cash. We cover all Sydney suburbs and if you want to experience a really reliable service with no service too small or too hard for us, give us a call, and we soon guarantee you satisfaction “within an hour” pickup service. We remove your unwanted vans, trucks, scrap cars and junk 4×4’s 100 percent free of charge. At Metro Car Removal Sydney we offer you top cash for cars service that will get you top dollar for your unwanted car – truck, van, ute, 4WD, SUV and much more. Another specialty of our cash for cars service is that we offer you completely free towing and quick same day service. 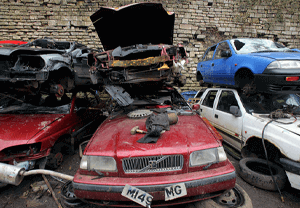 We ensure easy and fast unwanted car removal that takes all the hassles of removing junk cars. We purchase all Korean, Domestic, European and Japanese models. We always pay the best price for various Japanese models such as Honda, Nissan, Suzuki, Toyota, Mitsubishi, Suzuki, Lexus, Isuzu, Subaru, and Mazda. We also buy Ford, Mercedes, Landrover, BMW, Honda and numerous other brands. You should be present at the time of pickup in order to provide us a proof of ownership before we hand over cash for cars. You can provide us State ID or your driver’s license along with your old car’s paperwork. If you have title in your name, you may sign the title and designate any person to do the transaction for speedy car removal on your behalf through a copy of your ID and a signed permission note. Many cash for cars firms in Sydney have tons of hidden gotchas. Even little fees may add up and may make selling your rusted car to them even less profitable. We don’t do that at all. There is no fees-no towing charges, no administration charges, etc. We just want to purchase your car and ensure its speedy removal with no fuss. Junk car removal is good for our environment if it’s done properly. Doing it in the wrong way will definitely do more harm than good. For instance, old cars contain various pollutants like oil, gasoline, and other toxic air conditioning gases. If these cars are disposed of in an improper way it can cause irreparable damage to the environment. We do our junk car removal business in the most ethical and sustainable way. We surely ensure safe junk car removal including its expert degassing of air-conditioning gases so that there’s no damage to the environment. You can surely rely on us for securing speedy cash for cars as we won’t do anything that’s harmful to our environment. Before you call our team for junk car removal to remember to keep all vital documents that can establish your ownership over your car. 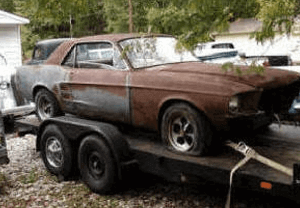 We cannot legally purchase junk or old cars except its owners. So keep all ownership papers that can suitably establish you as the real owners before we offer you cash for cars. This will definitely save you time and unnecessary hassle. Damaged Car Is No Longer A Liability! Your junk car is no longer a liability as we offer cash for cars on the same day at any place in the city. If your car has become a huge eyesore in your garage or front-yard, call us for its removal and we promise to pay you cash for cars. Your old car doesn’t have to sit for garage gathering dust and occupying valuable space. Trust our team can quickly cart it away and pay you good cash for cars than you think of. There’s no better deal than this, right? There is no manufacturer we won’t accept. Whether you own a Toyota, Lexus, Ford, BMW, Isuzu, Nissan, Mercedes, Honda, Subaru, etc, we will gladly travel to your place to remove it for free. Whatever the condition and age of your car or any other vehicle, it doesn’t matter when you call us. We readily accept any model, any condition. This means whether you have used truck, scrap car, damaged jeep, wrecked van, accidental commercial vehicle etc, we will quickly perform free pick up that puts cash in your hands. When you’re ready to get rid of your driveway or yard free of junk, or are just helpless in selling your used car, give us a call and our team will be there this afternoon in a hurry. Contact Metro Car Removal for a fast and Hassle Free Car Removals Service. Wouldn’t it be great if there was a friendly, convenient service that removed unwanted vehicles for you and paid you cash for them? Metro Express Car Removal is proud to offer Sydney that service. 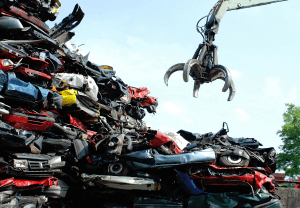 For 20 years we’ve been helping Sydney get rid of its unwanted cars, 4WDs, and trucks by removing them and recycling them as scrap metal. Why leave your unused, damaged or deregistered vehicles rusting away and taking up space when we can remove them, recycle them and pay you for it? Metro Express Car Removal will solve your problem and take the hassle off your hands. 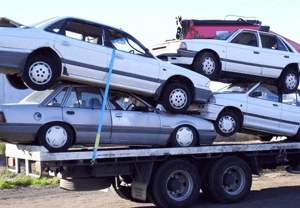 You will get the highest quality car removal for cash Sydney. Note: Cash for Car Dealers are no longer allowed to pay Cash for Scrap, Old Car. This was made illegal in November 2018. And could involve fines of up to $30,000. Now Payment can be made via Electronic Transfer & Cheque only.